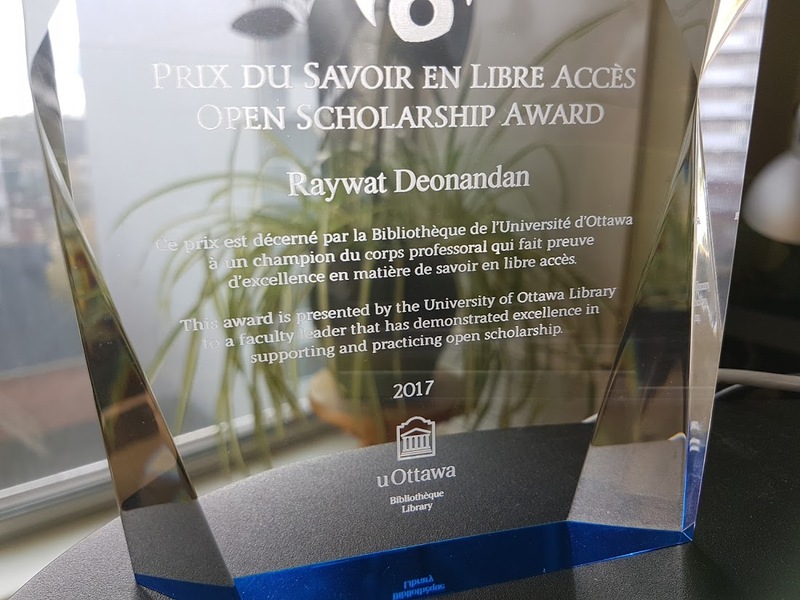 2017 – The University of Ottawa Library was gracious enough to grant me the 2nd ever Open Scholarship Award. 2015 – The wonderful students of the Interdisciplinary School of Health Sciences at the University of Ottawa were kind of enough to give me their inaugural “Professor of Distinction” award. 2014 – I’m very proud to be the co-author of my student Loae Khir’s paper, “Shifting the birth weight paradigm“, which won top prize in the “Knowledge Transfer: Informing and Engaging the Public in Primary Health Care” category for the 2014 issue of Health Science Enquiry. In 1996, much to my surprise, my short story, “Motherland”, was used by the Mississauga Board of Education as an anti-racism education tool. I’ve since learned that my books and stories are being taught in a variety if University classes. The following is a list of the ones of which I’m aware. If you know of other Universities using my books or stories in their curricula, please let me know.